Just ask the fans who sat by Melissa Brown during Bucks’ games a few years ago at the BMO Harris Bradley Center in downtown Milwaukee. 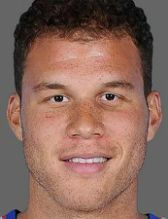 While they were content sitting in their seats, observing the action of the court, Brown was jumping up and down, screaming and being, ah, a fan. Let’s say,Brown’s non-stop antics didn’t go over well. Fortunately for those fans, Brown noticed a band of wild-and-crazy fans, ones much like herself, congregated in section 212 of the arena. Brown could identify with them. They were fans in the truest sense, constantly backing the Bucks and having a hell of a time doing it. 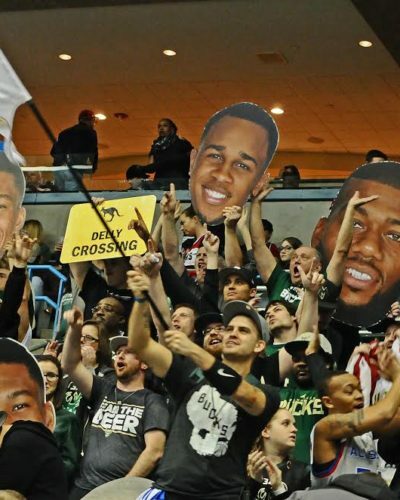 Brown eventually decided to be a part of that fun-filled cast of characters three years ago and now stands up the entire time for each and every Bucks home game during the regular season and playoffs. She can be totally engaged in the game and act crazy and not feel the repercussions from anyone nearby her. 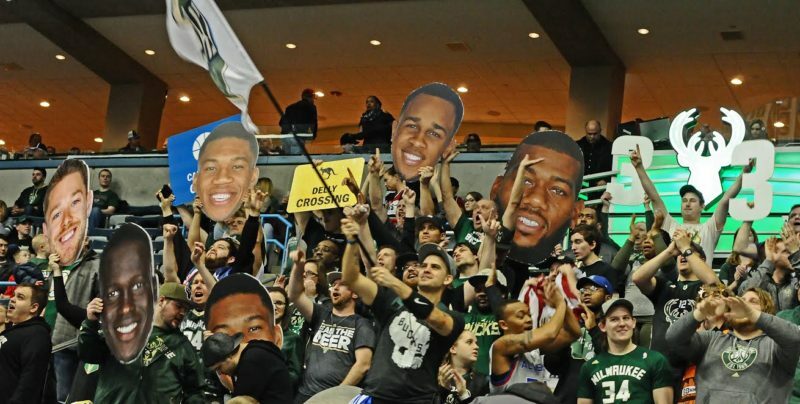 Brown is among 82 fully-invested Bucks’ fans who comprise the Cream City Clash, a hyperactive fan section unmatched by any other in the NBA. The CCC is the Russell Westbrook of NBA cheering sections. They are on their feet from the opening tip until the final horn, sitting only during a timeout or delay in the game. Their high-energy enthusiasm has helped transform an arena that often times in the past resembled a morgue into a happening place. The ringleader of this zany crew is Ben Fink, a Bucks fan since he was eight year old and, as you might surmise, a man of unbridled passion. As the Cream City Clash coordinator, Fink takes his job seriously. He is especially conscientious about who he brings onto his team. It is why he disdains tryouts and instead gives potential CCC candidates an up close and personal audition to determine whether she or he has the right stuff. The CCC waiting list isn’t of epic proportions, saying like the 70,000 plus waiting list for Green Bay Packers’ season tickets. Nevertheless, it’s still impressive as Fink said more than 500 individuals are waiting for their big chance to sit with other CCC members in the lower bowl at the north end of the BC. While Fink acknowledges there are definitely perks to being in the CCC – a nice, free seat, being one! – there are some perils to the job. Bucks players and coaches do, too. Many of them, at one time or another, have complimented the Cream City Clash for their efforts. The CCC shows its “love’’ for opposing in a different way – usually with a good-natured zinger or two. Occasionally, you’ll see an opposing player laugh or shake his head in amusement when being targeted by the CCC. But not the feisty Joakim Noah of the New York Knicks. He was willing to take on whatever the Cream City Clash dished out to him during a game earlier this season. But the Clash also appreciate, as King-Dee, aptly points out “greatness.’’ So when hall of fame-in-waiting forward Paul Pierce made his one and only appearance this season in Milwaukee while with the Los Angeles Clippers, the group duly paid its respects. “We chanted ‘Thank you, Paul,’ ‘’ King-Dee said, “It was his last game here and we tried to show our respect for him. You got to respect greatness. It should come as no surprise that considering the countless hours members of CCC spend together over a course of a season, that many members have developed a close bond. In fact, it isn’t unusual for many of them to attend family gatherings. A family that not only tolerates but embraces someone standing up and yelling in front of them. 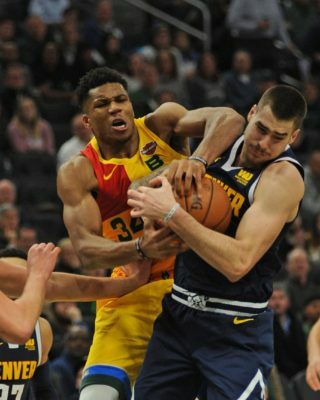 Next: Tapp-ing Into The Numbers: NBA Stats: When Was The Last Time Your Team Was In The Conference Finals?